They have penetrating eyes and sensuous lips. They study everyone they meet and might ask them to take their clothes off to see if they are open and honest. I’ve visited these women in their rural homes and studios and we have discussed everything from God to nakedness. They all expressed their spiritual life differently because of their different approaches and beliefs. They all believe in God because they realize they are creative because they were made in the image of the ultimate creative Creator, God, and marvel at most people’s inability to realize this truth. Their paintings and drawings include the beauty of the naked body and the adobe churches. They share the beauty of their bodies with whoever asks. Women artists of New Mexico are insightful and sensitive. Crosses hang around the necks of all these women, usually tourquoise and silver, and are not just for ornamentation. They believe in picking up their crosses daily, sacrificing themselves for Christ and for anyone in need. Most have paintings and photographs of themselves crucified naked in their studios as a testimony of their beliefs and will draw or paint anyone else with a similar desire. They pray at the village Adobe churches and at the little altars within their studios. Some have relationships with other women and feel that love is most important. 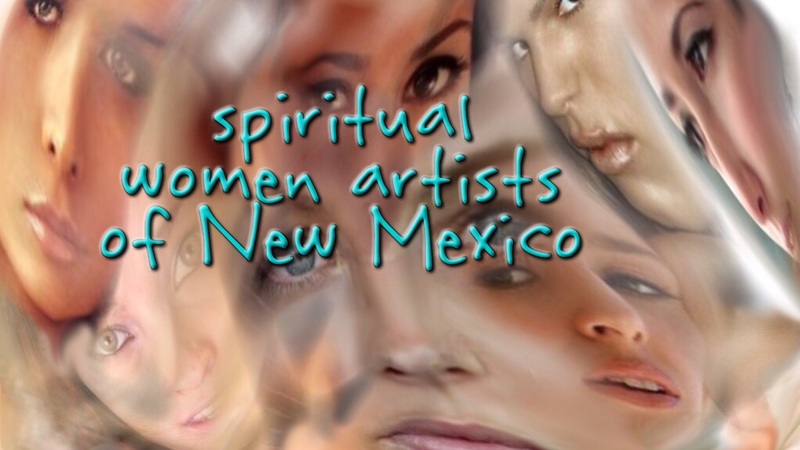 These are the spiritual women artists of New Mexico. I’ve noticed that you have gradually been working your way into my archives and I just wanted to stop in and thank you very much for that! Your welcome. I’m surprised at how many artists and cartoonists were covering the wars. The spitfire planes were P-51s, right? A P-51 was the Mustang, similar.